⬅ Are You A Marriage Fan? The Behavior Is Pardoned – Just because you choose to forgive does not mean that your spouse’s actions that hurt you are excused or otherwise pardoned. Trust Is Restored – Forgiveness and trust are two different processes. Trust takes two and builds over time. You need to separate your forgiveness from efforts to protect yourself from being hurt again. Must Be Spoken – Forgiveness is not for your spouse. Forgiveness is for you. You do not have to tell your spouse that you forgive them. Their efforts to have you say such words to them is about them, not about you. Reconciliation – You can choose to forgive your spouse even if you have not decided to pursue a future together. Forgiveness is important for reconciliation but you need to find forgiveness even if you never reconcile. You Must Forget – You have no obligation to yourself to try to make the bad experience disappear from your memory. God did not make your brain to work that way and it is near impossible. Your Relationship Is Repaired – Forgiving your spouse does not “let your spouse off the hook” for the hard work in the relationship necessary to build a new future together. There are several barriers to forgiveness. These are the things that get in the way of beginning your journey in forgiveness and keep you from the peace you hope to have in your heart. Revenge – There is a piece of you that wants your spouse to hurt as bad as you hurt. You want them to feel the pain that they caused you. You may not want to do what they did to you but you want them to understand how it hurt you. You want them “in the dog house” until they feel your pain. Power – You feel like this incident has put you in a place of power in the relationship and you are not ready to give it up. You are enjoying the “high horse” you are on. Confused – You do not know what to do or how to go about beginning the process of forgiveness, starting the trust rebuilding process or beginning to create a new and better future together. Anger – You enjoy the rush of adrenaline that anger provides you. Your anger is pushing you to do things that you have never done before, like exercising, developing a career plan, budgeting, etc. Victim – You are beginning to get use to the victim role with your family and friends. You enjoy their sympathy and attention. Friend’s Advice – You have shared the wounding event with your friends and family and now they are telling you to leave your spouse. You cannot find a way to get around the peer pressure to leave. Living without forgiveness of the wrongs others have done to us is a choice to live with the weight of emotional pain. Hanging onto resentment hurts you as much or more than it does the person who wronged you. This is like drinking poison and hoping the other person dies. Forgiveness is about you. It is for you. Forgiveness allows you to begin to create space in your heart for other emotions like peace and joy. Forgiveness frees you. It unburdens you from the weight of the pain that keeps you from enjoying life. 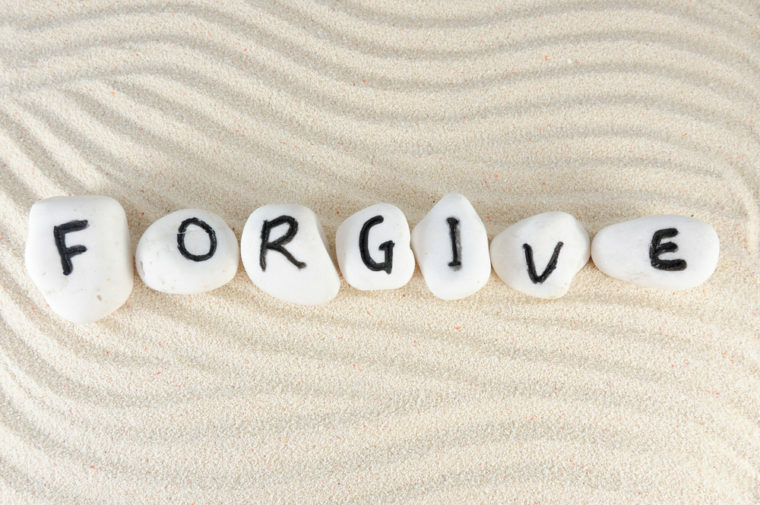 Decide to Forgive – Realize that you benefit most from moving toward forgiveness and that it is not about or for your spouse. Make a conscious decision that you want to have room in your heart for joy and peace again- and that you want to rid yourself of the resentment. Accept The Wound – Move from disbelief to accepting the fact that the incident happened to you and how you felt about it. You must acknowledge that it happened and how it impacted you. Discover the Growth – You not only survived the incident, you have grown from it. Come to terms with the fact that the experience has produced growth in you. Ask yourself what you have learned about yourself and your need for boundaries. Broken Spouse – Even the saintliest person is flawed. Remind yourself that your spouse, like all humans, is a broken person. Their behavior that caused the pain was motivated by some deep need within them. They went about getting it in a very painful way that hurt you, your relationship and them. What was done was probably not done on purpose to hurt you. Release the Pain – When you are ready, find an object that can represent the pain of the wound. It may be that you write all of what caused you the pain on paper. Perhaps you draw a picture. Maybe you purchase an object that can represent the pain. Whatever it is, destroy it. Beat it, burn it, bury it. Let the destruction symbolize your release of it from your heart. Tell or Not Tell – Decide whether or not you tell your spouse that you have forgiven them. Remember that you are forgiving for yourself. The freedom forgiveness brings will be seen by your spouse whether you tell them or not. If you decide you will tell them, make sure you are clear that forgiveness does not mean you trust them fully now, or that the work in the relationship is complete, or that you will forget that it ever happened. It just means that you have room for peace in your life. Franklin was hard to convince that a Marriage Intensive would be helpful after not being helped by another organization. However, Julie and Franklin met us for a full day marriage intensive and God did his work. She has found her inner peace and they are doing the things they need to be doing to build trust and a new relationship going forward.